Pro-migration advocates are trying to portray the massive Central American migration across the U.S. border as a childcare problem for government rather than a threat to blue-collar wages, civic society, and the rule of law. “We don’t have a security crisis; we have a care of children crisis,” claimed Aaron Reichlin-Melnick, an advocate at the American Immigration Council, which is an education and advocacy group for the immigration lawyers. “That’s the issue facing Trump & the nation: How to deal with the kids,” said a tweet from Maria Sacchetti, a Washington Post reporter who writes about migrants’ concerns. “We should have ‘zero tolerance’ for policies that result in this,” said a tweeted response to Sachetti from Douglas Rivlin, a spokesman for the pro-migration progressive group, America’s Voice. Byron Xol was riding in a van, his Pokémon figurines in tow, heading to his fifth home in 10 months. The 9-year-old Guatemalan, separated from his father last year at the border under the Trump administration’s “zero tolerance” crackdown, had been stuck in a cycle of moving from place to place in Texas while federal authorities tried to find him a place to live until he could be reunited with his family. 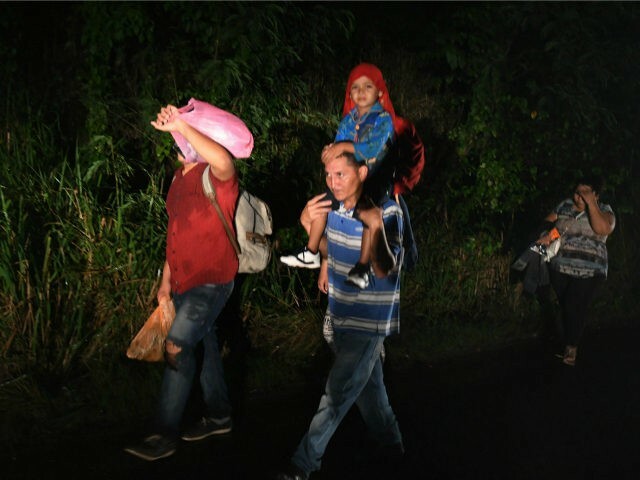 Taken together, 95,000 children and teenagers crossed into the United States between October and February, making up 35 percent of the 268,000 people taken into custody, a higher percentage than in past years, the official said.